Zara and Massimo Dutti owner Inditex has reported a 20% rise in net profit for the first nine months of its financial year. Some 28 of its 88 international markets now have dedicated online platforms. Fashion retail group Inditex has reported that net sales increased 16% year on year to €14.74 billion, over the first nine months of its financial year. For the period between 1 February to 31 October, the Zara and Massimo Dutti owner saw net profit reach €2.02 billion, which was up 20% compared to the same period in 2014. 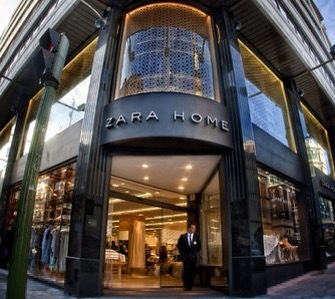 Inditex continues to grow its business internationally, with online operations recently launching for Zara in Hong Kong and Taiwan, as well as Zara Home going live online in Australia earlier this month. The group now has over 6,900 stores in 88 markets, 28 of which also have online sales platforms to support the business’s multichannel approach. Another technology development at the group is the continued roll-out of RFID systems across its stores and supply chain. Inditex said this week that RFID technology is in place in 1,417 stores across 64 countries, having been fully rolled out in 47 nations. By the end of this financial year, 53 countries are expected to have the technology fully in place. Posted on December 14, 2015, in #international, #retail. Bookmark the permalink. Leave a comment.